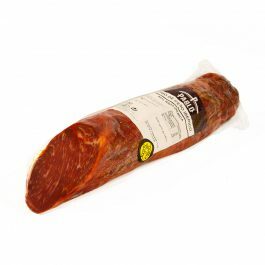 Our Iberian hams Dehesa de Barros are an important part of our company, due in large part to the careful process by which the pieces are selected, taking into account the best raw materials. 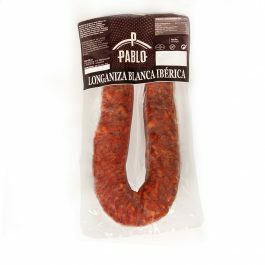 Our entire range comes from slaughterhouses in the areas of Salamanca, Extremadura and Huelva, and then the whole production process is carried out in our facilities in a traditional way. 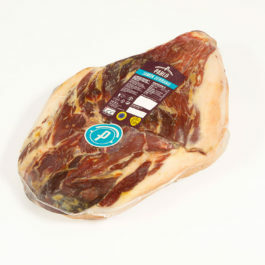 We seek that the pig has been fed the necessary time to guarantee a correct fat infiltration, and a high and homogeneous quality among our hams, so we hardly have small hams in search of a higher quality. 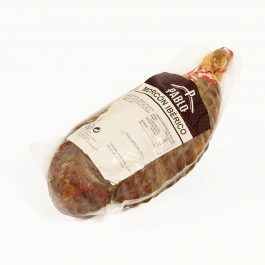 The Iberian morcón is a sausage of an exceptional quality that comes from the pork whose elaboration is similar to that of the chorizo, although it has special characteristics that make it unique. 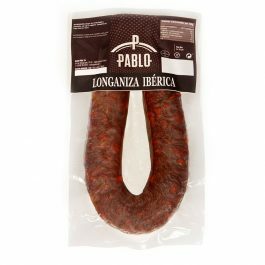 The difference comes, above all, from its preparation: the chorizo is made with small intestine and the Iberian morcón elaborates with the large intestine. 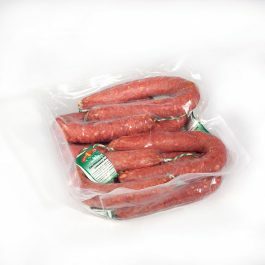 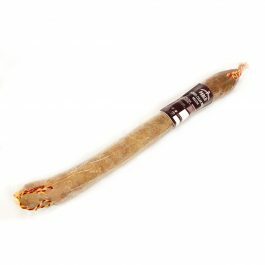 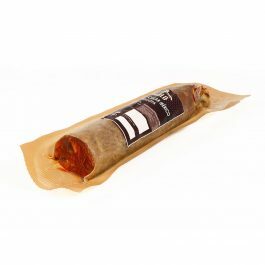 The same ingredients as the sausage are used in this product but it is stuffed in horseshoe-shaped beef casing, preserving the authentic traditional taste of our sausage. 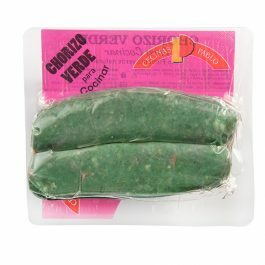 The stuffing process is made in natural big trip to obtain this thicker chorizo, in which we can slice it very thin and uniform. 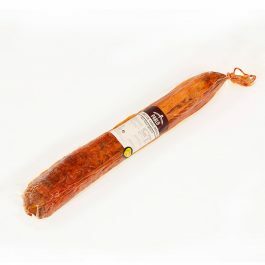 This chorizo has a weight around 1.5kg.